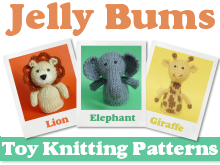 I always love seeing what you lovely knitters create from the patterns I post. I also like to see people modifying them a bit too so the finished toy suits your needs. 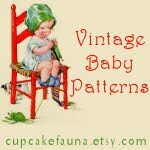 I just love the fact that my pattern sparked your imagination to create. So whilst I was having a little peek on Ravelry today to see some of the latest creations I stumbled across this picture. 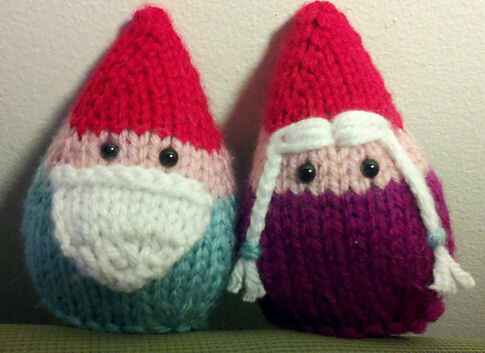 The pattern used was a slightly modified version of the travelling gnome pattern, but look he has a girlfriend! I practically sqweed when I seen this photo, I love love love her hair it's so adorable. 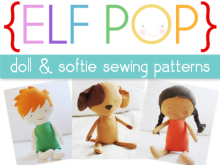 Thank you so much to Rachel aka Black Francis for uploading her project, it made my day and I hope it inspires other knitters to create their own gnomettes. I can almost see them as little knitted Santa and Mrs. Clause ornaments for Christmas decorations.